I take a lot of pictures. In fact, you might say I love taking pictures. Sometimes when I pull out my camera the people around me audibly groan knowing they soon may be captured ‘on film’ — again. LWML = Lutheran Women actively living their lives as God’s children. When you attend an LWML gathering, what is the picture you see? 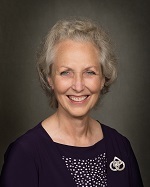 I see Lutheran Women in Mission enjoying fellowship, giving their mite offerings, studying God’s Word, singing His praises, and using their gifts and talents to further God’s kingdom. The pictures on these posters are joy-filled examples of Lutheran Women in Mission. 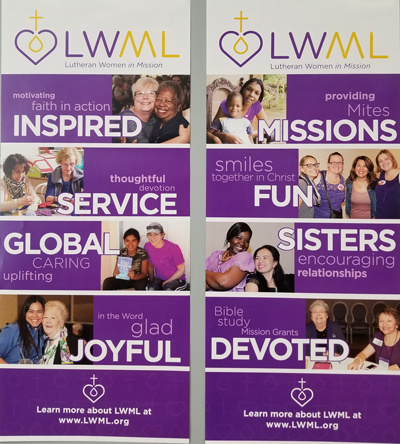 How about displaying a set at your next LWML gathering? Do you already have a set? Great! If you don’t and since you’re on our home page, click on the Shop tab in the menu bar on the top right, and type in posters in the search box. Have fun displaying them at your next gathering. You’ll be sharing a picture of the LWML.